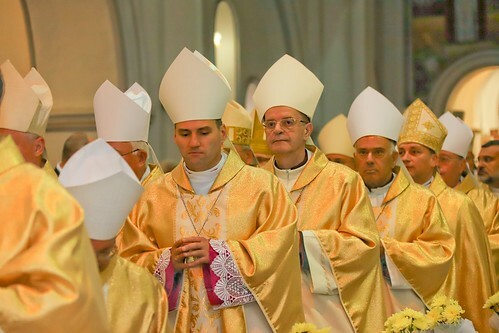 The Presidents of the Bishops’ Conferences of Europe take part in the annual Plenary Assembly, together with representatives from the Holy See’s delegations to the European Institutions as well as members from COMECE. The Plenary Assembly will take place this year in Minsk (Belarus) at the invitation of S.E. Msgr. Tadeusz Kondrusiewicz, Archbishop of Minsk-Mohilev. The programme for the media is available here. The final message is available in Croatian, English, French, German, Italian, Polish, Portuguese, Spanish and Ukrainian. 02.10.2017 - The Church loves Europe and believes in its future. Their use is allowed subject to printing the following tag: © Shchyhlinskaya Aliaksandra/ccee.eu oppuer © Vitaly Polinevsky/ccee.eu (per le fotografie delle celebrazioni).